With the 2013 Halloween Day just a week away, many people are busy preparing for the annual spooky holiday: making Jack-O-Lanterns, preparing costumes, horrible decorations and gifts for their kids or friends. If you happen to be a hard movie fan and plan to watch Halloween themed movies on this Halloween Day, and quite coincidentally you’re looking for a media converter to help you convert your Halloween movies on your PC or Mac, this Halloween Giveaway and Special Offer promotion would be what you need. Leawo, an online multimedia solution provider, just kicked off its 2013 Halloween Promotion weeks ago to present people, both Mac and Windows users, with wonderful Halloween freebies and other high-discounted multimedia solution apps until the end of November 3rd. This company’s 2013 Halloween promotion includes 2 parts: Halloween giveaway freebie and Halloween discounted apps. From now to the end of the Halloween promotion, Windows users could get this company’s Blu-ray Ripper for totally free as Halloween freebie, while Mac users could get their Mac version of Blu-ray Ripper without any cost. Both the Windows and Mac versions of their Blu-ray Ripper could help you easily rip and convert Blu-ray/DVD discs or folders to SD/HD videos and audios in various formats like AVI, MP4, WMV, FLV, MPEG, MOV, MKV, RMVB, FLAC, AAC, AC3, AIFF, AMR, M4A, etc. For people who want to convert Blu-ray/DVD for multiple devices like iPhone or iPad, these 2 freebies would be of great help. It actually still includes other functions, including 2D to 3D converting, Blu-ray player, video editor, etc. To get these Halloween freebies is quite easy. Visit their Halloween promotion page, find the “2013 Halloween Giveaway” section, then click the right button to call out the registration box, in which you need to enter your email address to receive the program license code. Only remember to click the right button on base of your Windows computer or Mac. Besides the Halloween freebies, the company still offers all Windows and Mac users up to 65% off Halloween special offers in different categories for people to choose from. These special offers could help you save up to $100. Halloween Top Seller – Total Media Converter Ultimate: During the Halloween promotion period, people could enjoy 50% price cut on this 7-in-1 media converter suite. It could act as Blu-ray ripper, Blu-ray burner, DVD ripper, DVD burner, YouTube downloader, online video accelerator, HD video converter, 2D to 3D converter, and comprehensive media player. Halloween Gift Pack – Total Media Converter Ultimate + Blu-ray Copy + iTransfer: The biggest saving section for you in this Halloween promotion that saves you $100 in total. These 3 apps in this Halloween Gift Pack could compensate each other quite well in functions. Total Media Converter Ultimate could finish all kinds of media conversions and video downloadings, Blu-ray Copy helps copy and back up Blu-ray/DVD content in lossless quality, while iTransfer helps transfer data between iOS devices, iTunes and computer easily. Other up to 65% off Halloween offers: In this Halloween promotion section, people could get various media converter apps or other practical utilities at up to 65% price cut. These apps include Blu-ray Player, Blu-ray Copy Mac/Win, Blu-ray Creator Mac/Win, Tunes Cleaner Mac/Win, iOS Data Recovery, and PowerPoint to Video Pro Mac/Win. This company has promised that any person around the world could take part in this Halloween Promotion activity during the period. So, if you’re looking for a media solution, or need a freebie Blu-ray/DVD converter, you shouldn’t let this Halloween pro slip away. Just remember to get the one you need before the deadline. *Disclosure: I received product at no charge in exchange for my honest review. Because of the many years I spent doing classroom trainings for childcare providers, I have files upon files of PowerPoint presentations. At the time, I didn't even have the technology to simply stream the slides and I actually had to print them out and make copies. Thankfully, technology has come a long way since then and I was recently introduced to a fabulous new software program called Leawo PowerPoint to VideoPro. Using this program, I can now convert every single one of those PowerPoint presentations to a streaming video. I'm working on a project to upload my trainings to the internet and thanks to this software, it will be a seamless transition for me. In four simple point-and-click steps, even the newest of computer users can make professional videos from PowerPoints. Add the PowerPoint to the software program. Create the output video settings. Customize the video with timing, music, and audio. It even allows you to add a watermark! It's really that easy. I'm working my way through my training slides and I've been really impressed with the software. I've not come across any bugs and it's very user-friendly. 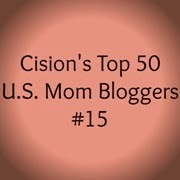 Check out their video HERE! 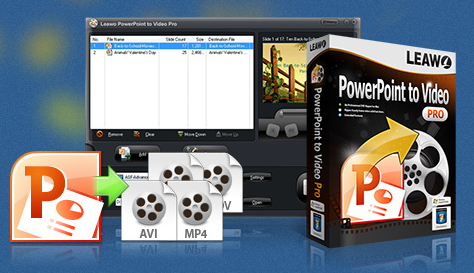 Win the Leawo PowerPoint to Video Pro Software! To enter, just fill in the Rafflecopter form below. Five winners will each win one download of the software. You must be at least 18 years old to win and this giveaway is open worldwide. Giveaway ends on 11/14/2013. Good luck! I'm enjoying the breezy, balmy days of a Texas autumn by taking my daily walks with my dog Buddy in the afternoons. We always walked in the early morning during the summer to avoid the stickiness of the afternoon. Speaking of stickiness, the thought came to me that forgiveness is often something we grant to others when we feel we've been wronged in some way. That inner voice of resentment can be very sticky. Being gracious enough to forgive someone is often difficult, but it truly can set your heart free when you do forgive. But what about forgiving ourselves? Forgiving yourself can be even more difficult. Especially when you've wronged yourself in a way that affects all parts of your life. I think of all the things I've done in my past that weren't intended to make me a better person. My most prominent self-sin right now is my weight. Last month when I stepped on the scale, I realized I weighed more than I have ever weighed in my entire life, even more than when I was nine months pregnant. How did I let that happen?? Standing there staring (and glaring) at myself in the mirror, I decided to forgive myself and make a clean start. Over the past month, I've focused on doing the right things for myself. I am eating better foods, eating less foods overall, walking more consistently, biking further, and practicing self-affirmations that I can lose the weight. Guess what? I've lost 17 pounds in the last month! By moving forward and not looking back to who I was before, I'm learning to better embrace myself with forgiveness. If only we all had the forgiving capacity of a dog, standing ready to lick our face with unconditional love! Disclosure: I received a wreath at no charge in exchange for my honest review. Even with step-by-step directions, I don't think I could have created a better Halloween Wreath than the one I received from Beez Dream Floral Design at The Craftstar. This custom one-of-a-kind wreath is handcrafted by Jen Perkins and the careful attention to detail is fabulous. I've already had two neighbors stop by my house to tell me they love it! The accessories on the wreath are all high-quality, from the tiny wired bats to the big fuzzy bat, from the carefully placed leaves to the broomstick-flying witch. Everything is very securely attached and not a single thing was out of place when I removed it from the packaging. The wreath was gently packaged and surrounded by adequate packaging materials. It also arrived super fast. It even comes with its own securely-attached ribbon for hanging! If my doorway wasn't deeply recessed, I'd probably choose to hang my new custom wreath inside my house because it's SO beautifully made that I wouldn't want the wind and rain destroying it. Visit Beez Dream on The CraftStar for beautiful wreaths for Halloween, Fall, Christmas, and Thanksgiving. You'll also find beautiful handcrafted silk, natural and dried floral arrangements for weddings and other special occasions. Beez Dream is even offering 10% off right now on The CraftStar when you use the code MYFAVORITEONE. Support small businesses this holiday season and shop at TheCraftStar boutiques! 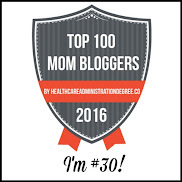 Seeking Bloggers for New Event! 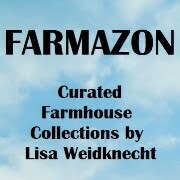 Please tell them PLANET WEIDKNECHT referred you to this event! Thank you. Referral Prize: $50 PayPal – the person who refers the most to this event gets this prize! Before hitting the road, all car owners are required to purchase automotive insurance for their ride. Due to the fact that not every car insurance policy is created the same, the motorist must select an insurance package that fits their specific needs. Here are five mistakes that car owners commonly make when buying car insurance. With the economy being in such upheaval, many people have been forced to adjust their budget. However, choosing just the basic level of insurance coverage could lead to a slew of problems in the long run. If the motorist happens to be found responsible for a crash, the insurance company will not pay for any damages to their vehicle. In an effort to save a few bucks, some car owners attempt to lie to the insurance company. Unfortunately, this dishonest tactic could prove to be ineffective. If the car owner is caught providing false information, he or she risks being denied a claim or penalized with higher rates. The truth of the matter is that most car insurance companies offer certain discounts and incentives to the customer. Motorists are able to obtain discounts for things such as being accident-free, having anti-theft devices, and being a loyal customer. If the driver fails to inquire about these discounts, he may be leaving hundreds of dollars on the table. Some motorists do not even bother to skim through the details of their car insurance policy. The best approach is to carefully read the entire policy before signing on the dotted line. If there are any misunderstandings, do not hesitate to ask the Winston-Salem insurance agent to further explain the fine print. Waiting until after an accident to inquire about the specifics of the insurance policy is a recipe for disaster. Some car owners tend to go with the first insurance company that they happen to run across. Not only could this method lead to the motorist paying extra money, but they could also be signing up with a low-quality insurance company. Taking a little more time to shop the market will definitely be well worth the extra effort. 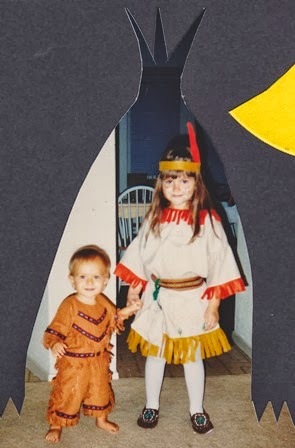 Ryan with big sister Heather, dressed in their Native American Indian costumes (handmade by my mom). He loved eating mm's candies and was fascinated by sister's face paint!